Booking is EASY! Simply select the booking button next to the activity that you would like to book, and follow the simple instructions. There is NO down payment required to book! We do recommend that you try to book at least two weeks out. This is due to our client volume. Any booking you wish to make that falls within 24 hours of the desired time must be CALLED IN, as the booking system will not allow bookings within 24 hours of your event. IMPORTANT NOTE: IF YOU WOULD LIKE TO RESERVE MORE THAN ONE ACTIVITY, THEN SIMPLY LIST THOSE ACTIVITIES WHEN ASKED DURING THE BOOKING PROCESS. THE BOOKING SYSTEM WILL ONLY ALLOW ONE ACTIVITY PER PARTY. OTHER ACTIVITIES MUST BE LISTED WHEN PROMPTED IN THE BOOKING PROCESS. Please book TANK Driving or BIG GUN shooting packages FIRST. Machine guns and other items can be listed in the additional items list at the time of booking. Do you have lodging available on-site? DriveTanks.com has a one of a kind WWII themed “Barracks” exclusively for our customers. The Barracks offers WWII Historic styling with all modern amenities. It truly is an experience of awe inspiring beauty of the Ox Ranch combined with the Historic Nostalgic flare that only DriveTanks.com can offer. Each room has 2-Queen Size Beds and an available Roll Away Bed. The Barracks Lodging is designed for our clients to be able to stay on the Ox Ranch and continue their adventure by transitioning their experience to some Ox Ranch’s activities that have made them World Famous. Your Barracks lodging experience will also include all your meals prepared by the ranches award winning chef. Prepare to make your palate come alive. Click here to learn more. What time is check in and check out for the barracks? The DriveTanks.com Barracks has a Check In time of 1:00 pm and a Check Out time of 10:00 am. Once you know when your approximate arrival time is, please call and let the main lodge know so that we can have your personal guide ready to serve you. What is the pet policy for the barracks? All pets (Except Service Animals) are prohibited on DriveTanks.com property (an additional room cleaning fee of $250.00 will be applied to the bill if a pet is discovered). “Service animals” are allowed with proper documentation. Ranch policies may differ. We love animals here, however, there are several safety reasons for both our clients and the pets that we must insist on this policy. Why is there a TWO NIGHT MAXIMUM stay in the Barracks? DriveTanks.com has a one of a kind WWII themed “Barracks” exclusively for our customers. This means that Barracks’ customers must have a DriveTanks.com activity booked sometime during their stay. Due to our limited number of Barracks, we must limit the number of nights that can be booked, so that our other clients have the capability of staying with us here on the Ox Ranch for their DriveTanks.com adventure. However, Ox Ranch has a brand new beautiful area of cabins called the “Cedars.” The Cedars can accommodate longer stays as well. These are $200.00 per night for single occupancy and $300.00 per night for double occupancy. These are based on ranch availability. Contact Ox Ranch for more details and to book one. Is there any age limit on who can drive or shoot? for recoil management of control. This allows the experience of shooting machine guns without the strength that otherwise may be necessary. It is true that many tankers are smaller in stature. However, we have had people of larger stature drive even our Sherman Tank. In fact, we have had clients that were 6’6″ tall and over 350 lbs drive the Sherman. We have some tanks that accommodate virtually any size individual. The only tank that has a real limitation, and that is due to driver compartment size, will be the British Chieftain tank that we use for car crushing. The Chieftain is height restrictive to persons under 6’5″. One of may cool things about shooting our Tanks’ main guns and our Artillery (“Big Guns”), is that it does not matter how big or how small you are, you’ll able to do it and you are guaranteed to have a blast. If you have any question at all regarding size and specific tank requirements please contact us and we will assist you further. If I pay to drive a tank or a package and have some friends with me, can they ride on the tank or drive it too? Is there a maximum size group? Most tanks will accommodate five additional riders. We have developed the drives and packages so that they include up to 5 FREE guests, not including you (the driver). However, only one tank driver per tank booking is included. No worries though, additional laps with the same tank to allow different drivers can be arranged for a 20% discount from that tanks individual drive price. There is a $100 per person fee for any group over 6 individuals. (Ox Ranch Groups Excluded) This allows the rest of the party to be involved and observe the experience as a whole group. There is still a maximum of 5 passengers on the tanks. Tank Living Museum tour, water and soft drinks, eye and ear protection, transportation to and from the Tank and Machine Gun Range is included in the $100 fee. Beer and Adult beverages are always free here. Do I actually drive the tank or does someone drive for me? Yes! When you book any of our tanks experiences you will drive the tank through our one of a kind tank course with extreme terrain. Some people may feel uncomfortable driving a tanks, but still want to partake in the experience. For those individuals, we offer the ability for our Cadre to drive the tank and they can ride and get the full enjoyment and thrill of the adventure, without the stresses of driving. There will be a 20% discount for those who simply want to ride. Shooting from outside the turret vs inside the tank? We shoot the main tank guns from outside the turret for two very good reasons. First and foremost is safety! We fire full power loads and if one were to over pressurize or if a breech ring component were to fail, very heavy metal components will bounce around the inside of the tank devastating anything inside. Remember, some of our tanks are over 75 years old. They are the real deal! Second, it is a much more interactive and an awe inspiring experience outside! Inside the turret it is quite honestly uneventful and boring. It is meant to be that way, so that the tank crews could fire round after round in combat. From inside, you would not experience the visual impact of the target and the awesome devastation, nor would you feel the concussive power of the these amazing machines. Another important note is that you will be the one pulling the firing control and unleashing the fury! If I shoot a tanks main gun do I shoot a real or fake round? 100% Real Tank Round! You will shoot a real round just as they were shot in WW2. Full power loads. We do not shoot any powder-puff or blank load. Let’s give you a comparison to something that most people can relate to. Here is the fun fact for how powerful these tank rounds actually are; a standard M-16 or AR-15 .223 round has a muzzle energy of 1300 ft/lbs of energy. The Sherman 76mm main tank gun round that you will fire is 1.5 Million ft/lbs of muzzle energy! That is Million with a capital “M”. Did we say full power loads…No fake tank rounds here ever!!!!! How long do I drive the tank for? Times will vary significantly based on how fast or slow you drive the course and which tank is being driven, so we cannot give you an accurate time that it will take to complete the course. However, you will drive through the one of a kind mile long battlefield themed course that will challenge you with steep hills, turns, streams, and a few other surprises. You will utilize all the tank’s maneuvering capabilities. You will not simply be driving in a small circle ever here at DriveTanks.com. If you have a tank shooting package with your drive experience, then you will drive to our tank range and then finish the remainder of our tank course after the shooting. Depending on your round count & package, you could be out for a couple hours to all day. What is the “Range Fee” and when does it apply? There is no Range Fee for any of the packages. The the firearms shot in those packages do not count as different weapons, should you wish to fire additional weapons outside the ones included in the package. You may still choose up to two different weapons to shoot outside your package with NO Range Fee. Do you have an airstrip I can fly in on? Yes, for those who prefer to leave the driving out of the equation completely, then why not fly directly into the ranch’s 5,800 ft Paved Runway located right on property. 01TX is the FAA identifier. Is there a down payment required to book/reserve my time slot and do I need to provide a credit card? Can 2 people drive the tank on one lap of the course? No, it is one person per lap. However, a second lap can be purchased at a 20% discount off the drive price for that particular tank that is already on the tank course. What if I don’t feel comfortable actually driving a tank, but I still would like to experience the tank adventure? No problem! we understand that some people may feel a bit uncomfortable driving a 40 ton tank, but still want to partake in the whole experience. For those individuals, we offer the ability for our Cadre to drive the tank and they can ride and get the full enjoyment and thrill of the adventure, without the stresses of driving. Remember that up to 5 additional passengers are allowed at no extra cost. There will also be a 20% discount for those who simply want to ride. We are open seven days a week from 9am-7pm. You can view our calendar online to see if dates and times are available to book. If you have a desire to book a tank experience on one of those days, please do not hesitate to email info@drivetanks.com to schedule it. If you wish to discuss over the phone we would be happy to assists you as well. Do you offer any veteran, police discounts? We have a very high respect for both law enforcement and veterans. Most all our staff if either one or both. We have tried to set our pricing at the absolute lowest threshold that we can in order to cover operating costs and the many expenses associated with an endeavor of this magnitude. For that reason, we have no real ability to lower our prices any more than they are currently set. We do however, give our vets and law enforcement clients a free DriveTanks.com ball cap or T-shirt when they visit. Just let us know when you’re here. Drive Tanks.com is located on the famous OX Hunting Ranch. Located on 18,000 acres of some of the most beautiful land that the Texas Hill Country has to offer. You will see all kinds of exotic game during your visit. Do you work with charitable groups? Yes, we have developed a program to support many nonprofit organizations at no cost to them. 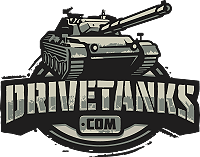 Please email us at info@drivetanks.com and give us information about your charity. We Normally do not allow camping or RV set ups as it would require a staff member to be present as we have many exotic animals free ranging around our premises.